Can Duck boots be stylish you ask? This was a question I had as I was putting together a fashion collaboration with some of my blogger friends on, you guessed it, Duck Boots outfits for spring. I’ve never owned a pair of these boots, but started seeing them everywhere in early fall of 2015. These boots, that have been around for at least 100 years, have been seen on the catwalk at large fashion shows and were taking Pinterest fall fashion by storm. So I got a pair. And….I’m hooked. Not only are these Western Chief Duck Boots extremely comfortable, but they kept my daughter’s feet warm and dry during our recent trip to Northern California. We spent Spring Break in Yosemite, where they had just received a fresh dusting of snow and San Francisco where the temps were a lovely high 60s to low 70s. I let her borrow my Duck Boots, while I wore my other rain boots, and she wore them in snow as we trekked to see the Sequoias and as we walked Baker Beach to catch the perfect shot of the Golden Gate Bridge. She ended up loving them so much that I let her keep them. Which now means mama needs her own pair of Duck Boots! I definitely plan on sticking with the Western Chief brand because I love the price, the way they fit and they match just about everything. 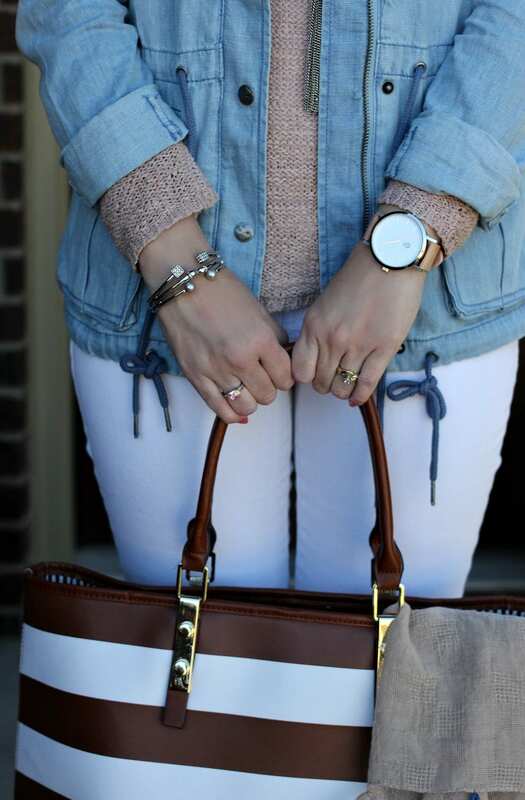 I paired them with my favorite color combo for spring: rose + chambray + white. My chambray anorak jacket is from Max Jeans. I received this jacket in late August and it’s still one of my favorites in my wardrobe. It will see a lot of wear this spring! My rose sweater is several seasons old and is from Forever 21 (similar one here) and my jeans are from J. Jill. If you decide to purchase these Duck Boots, I would go with a half size smaller than you’re used to. I typically wear an 8 1/2 to 9 and the size 8 fit perfectly. There’s a little room left at the toes for thicker socks, which is perfect when you wear these in the winter. 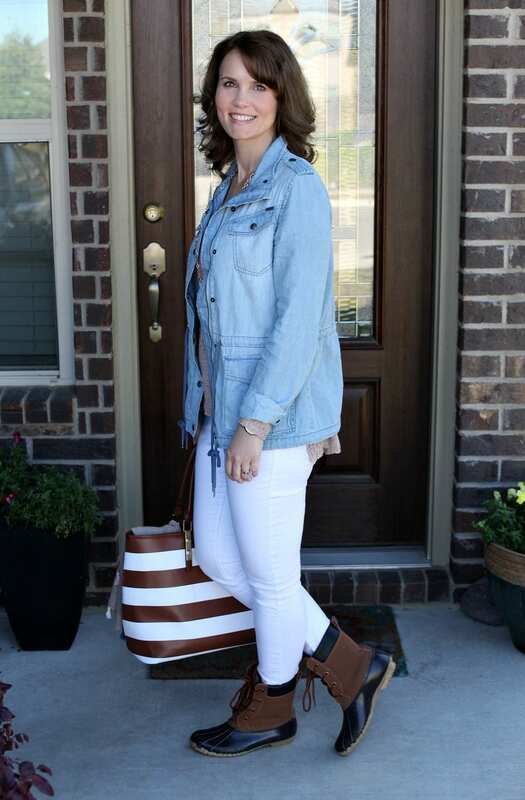 I love how these boots are the perfect transitional boot for winter to spring, since they can be easily worn in snow or rain. 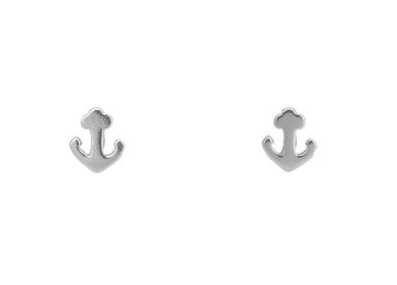 Now about the jewelry I’m wearing…I received these anchor studs and this Mother of Pearl necklace from Humble Chic on Amazon and I am in love with them both. The earrings are the perfect size to wear alone or with another pair of earrings. Since I was wearing quite a bit of jewelry with this outfit, I opted to wear them alone. They are so lightweight and will definitely be a go-to pair for me this spring and summer. 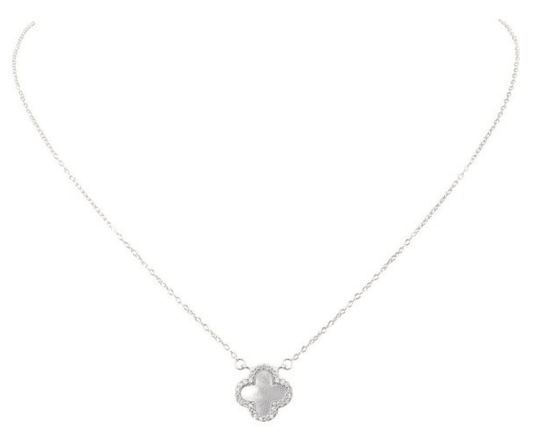 The necklace can also be layered or worn alone, and I like the way it looks with my chunkier chain tassel necklace I received (and ended up keeping) in my LeTote shipment. 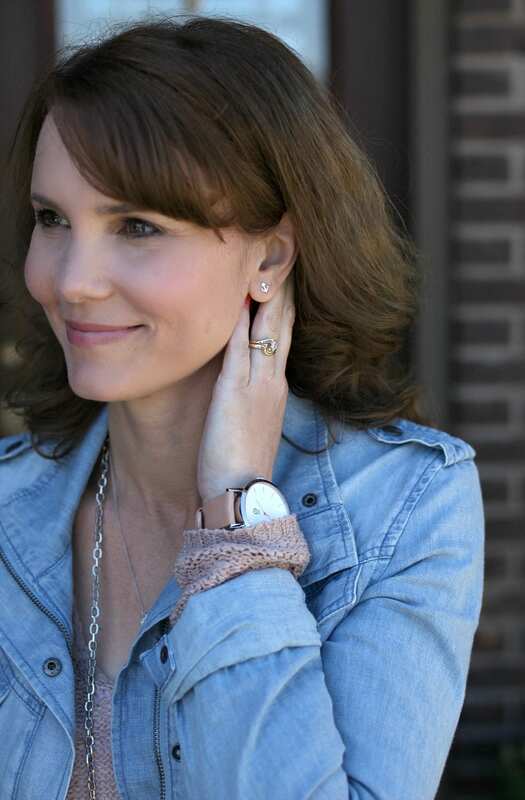 To finish off my outfit, I wore my rose gold watch from TUK and a silver bracelet I received in my LeTote shipment. I can’t decide if I’ll keep the bracelet yet because I already have so many chunky silver bracelets, but wow do I like it! I have a feeling I’ll be wearing this exact outfit quite a bit this spring. Now tell me, what are your thoughts on duck boots? Yay or nay? Disclosure: Thank you to Western Chief who were kind enough to send me a pair of duck boots to facilitate this post. I love them! Gorgeous outfit. I LOVE that color combination too my friend and the duck boots are SO stylish!! Thanks Andrea! That Max Jeans jacket is still one of my favorites! So cute, I love they really pop against the white jeans! 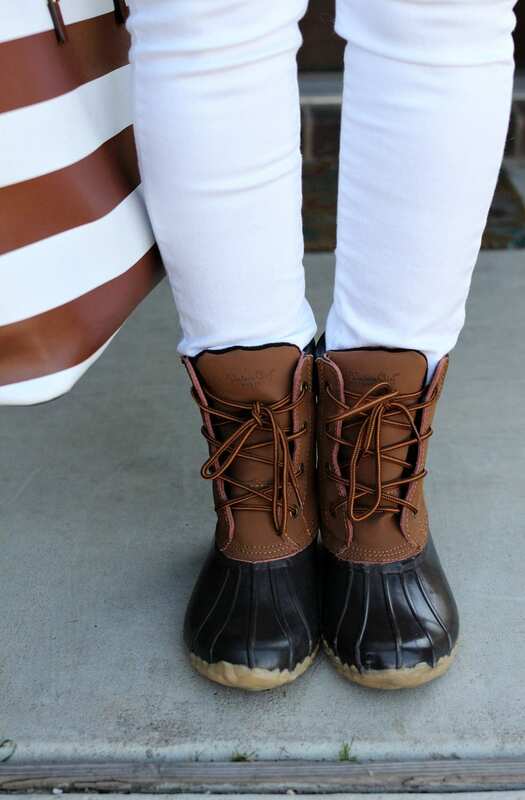 I had my doubts about duck boots but you totally make them look stylish and (dare I say) CHIC! Brava! You guys are making me want duck boots now! You are too cute. I love them! Who knew?? Plus they’re comfortable as heck.